Welcome to our Pre-Prep and Prep School, where curious minds come to play, learn and grow. From Reception Class to Year 6, our mix of cognitive ability building skills, development of key skills in literacy and numeracy and focus on specialist subjects, deliver a well-rounded, nurturing and inspiring learning environment. 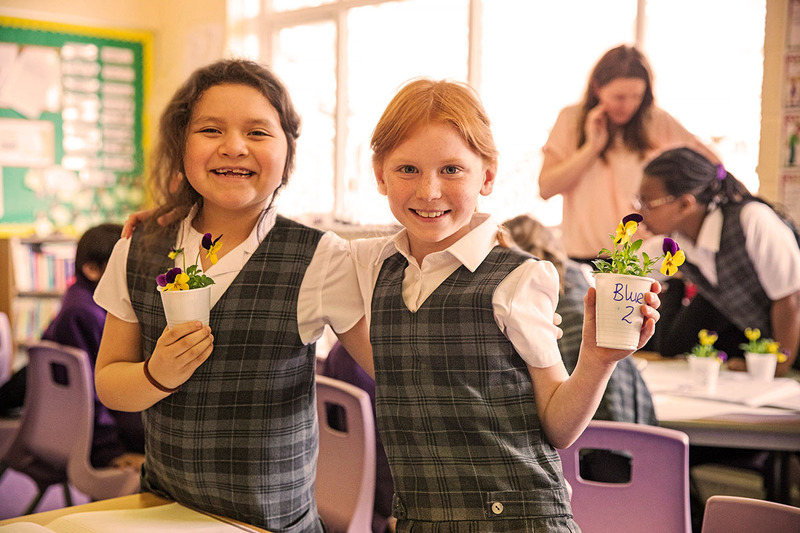 With Pre-Prep Stay and Play Days, and Prep Open Days and Taster Experiences, you can find out what Life at Webber is like for our most lively and questioning minds. The young and curious minds of our Pre-Prep students put smiles on our faces every day, as they learn to quench their thirst for knowledge in both structured and playful ways. These are really important development years where setting the right behaviours and aptitude for learning will lay strong foundations for your child. The Webber Independent team is committed to nurturing the growth of our young students through a number of different learning methods, in a warm, safe and inclusive environment. Our classrooms offer light, bright and well equipped spaces for our little ones to play, learn and grow. A particular hit with our young students is our recently refurbished Pre-Prep Garden, which is designed to provide a safe place to explore, run, jump, splash, dig, paint, make friends, have fun and learn. Our Head of Pre-Prep, and highly qualified team, deliver an exciting range of activities, visits and learning experiences, supporting our young learners progress their key skills for the next stage in their learning journey. As your son or daughter progresses to Years 1 and 2 we introduce our Stage not Age Programme, where our young minds benefit from personalised learning according to their ability. This programme ensures that everyone has the appropriate level of challenge, and is able to achieve their best in our small and friendly class sizes. 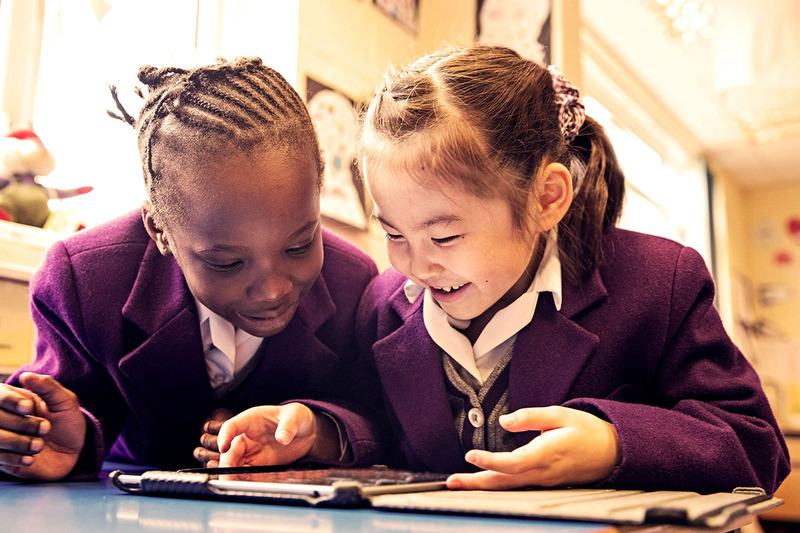 In Pre-Prep we teach Key Stage 1 of the National Curriculum for England, enhanced by specialist teaching, in Modern Foreign Languages, Physical Education, Geography, Music and more. Our action-led learning combines Phonics and Maths Games with more academic Literacy and Numeracy practices. Additionally, a strong focus on building Cognitive Skills with hands-on 'play' is an important part of learning at The Webber Independent. Our recently refurbished Pre-Prep Garden provides an ideal place for our enquiring minds to develop their Cognitive Function through exploring and experimenting with different learning skills, such as attention, memory and thinking - building crucial understanding in cause and effect, analysis and evaluation, and making comparisons. We enhance our educational experience through enrichment activities and external trips. Our Pre-Prep area provides a modern and light space with resources to aid your son or daughter's progression. 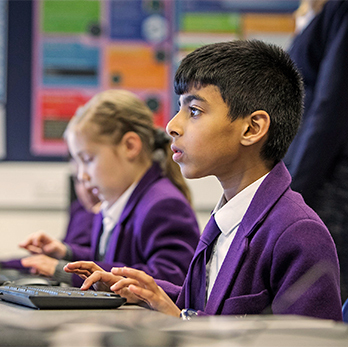 Our Pre-Prep students have a dedicated Library and Computer Room, and access to iPads and touchscreen technology to enhance their classroom learning experience. For further information about Our Pre-Prep School, or to arrange a visit please feel free to contact our Admissions Team on 01908 574740 or via our Contact Form. We place a strong emphasis of teaching good values, such as, Kindness, Respect and Honesty. As part of the GEMS Education Group, an international company with schools and education services in 14 countries, we embed the Group's Core Values throughout School Life. We build strong parental relationships through relevant communication; you can see what your child's been up to through the Pre-Prep School Blog. We provide up to six reports per year, a weekly personalised email from the Head of Prep, and deliver parent consultations to keep you up-to-date on your child’s development. Additionally, we have a dedicated parent portal, My Learning, where all information and feedback is stored - it's available as an app, keeping you up-to-date with School communication on the go. A great way to find out more about Pre-Prep Life at Webber is to come and join one of our Stay and Play Days - this is a great way for us to get to know each other, and for you to experience our learning environment. For further details on our up and coming events, or to book a personal tour, please contact our friendly Admissions Team on 01908 574740, or complete our Contact Form. The Webber Independent Prep School offers small class sizes and personalised learning to ensure that everyone has the necessary time and attention to flourish. 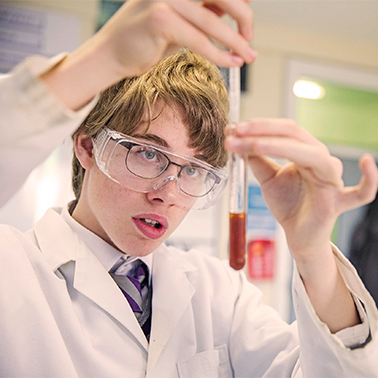 We continue your child's education with Key Stage 2 of the National Curriculum, and our Stage not Age Programme - where we ensure your son or daughter is at the appropriate level of challenge, and is able to achieve their best. As your son or daughter progresses through our Prep School, we focus on nurturing their academic excellence and preparing them for a smooth transition into Senior School. We achieve this through delivering a rich learning experience with subject specialist teaching, which includes, Physical Education, Music, Computer Science, French and Spanish. Additionally, we enrich the curriculum with educational workshops, bringing learning to life with external specialists. Our interactive storytelling for International Day, and our War Time Tea Party, which brought history to life - proved very popular with our young learners. We also embed online learning and digital tools, such as Pobble, an online writing platform that helps to develop evaluation, critical thinking and self-development skills. Years 3 to 6 are crucial growth years; we support our students through these important learning years with a balanced approach to academic learning, underpinned with emotional health and well-being support. Our Pastoral Care Team and teachers are trained to provide the right help and guidance, ensuring a successful and happy School Life. We also run over 50 extra-curricular activities including Mindfulness and Yoga. Our seamless through school experience delivers a calm and consistent approach to learning, easing the transition stage to Senior School. For further information about Our Prep School, or to arrange a visit, please feel free to contact our Admissions Team on 01908 574740, or via our Contact Form. In Our Prep School we start to prepare our young minds with the skills and mindset required to develop an aptitude for business. As an introduction to employability skills, Years 5 and 6 participate with ‘Go To Work With An Adult’ one day each year. Additionally, our young people have the option to develop their entrepreneurial skills through our Young Entrepreneur's Club. With over 50 extra-curricular clubs and activities for our young people to enjoy, there is something to cater for all talents and individual preferences. The clubs are a great way for students to make friends outside of their Form and Year Group, providing interactions with students across all age groups to build social skills and confidence. So whether your son or daughter fancies flexing their strategic mind with Chess; building their business and enterprise skills at the Entrepreneur's Club, or putting their bilingual skills to the test with Spanish, the choice is theirs. 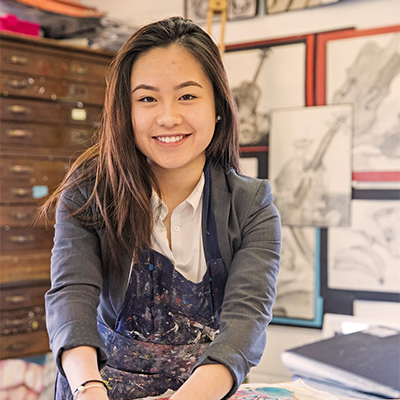 For a full list of extra-curricular clubs, societies and activities, please feel free to contact our Admissions Team for a copy of Our ECA booklet. We build strong parental relationships through relevant communication; you can see what your child's been up to through the Prep School Blog. You can expect to receive up to six reports per year, a weekly personalised email from your child's form teacher, and regular parental consultations to keep you up-to-date with your son or daughter's development. Additionally, we have a dedicated parent portal, My Learning, where all information and feedback is stored - it's available as an app, keeping you up-to-date with School communication on the go.